Established over 25 years ago, Croft Acoustics has an extensive portfoilo of handmade bespoke amplifiers of founder Glenn Croft's own designs. 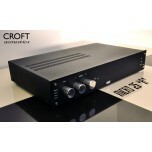 A hallmark of cottage industry UK hi-fi, Croft Acoustics make some of the finest sounding valve amplifiers we've heard. 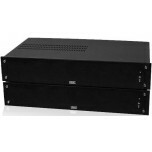 Despite Croft's first commercial product being a tubed amplifier, Glenn has dedicated over 20 years of his professional life to developing hybrid amps which are minimalistic in a purist sense with solid-state output sections. 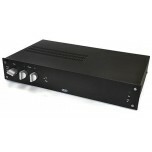 Croft amplifier products are unique in that they employ this hybrid technology – combining the benefits of valves and solid state technology. 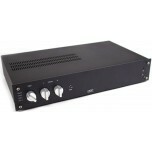 Models include the popular Micro 25 pre amps and Series 7 power amps. These models are all no compromise designs, meticulously handmade with the absolute highest regard for preserving signal purity. 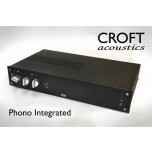 Throughout the years, Croft Acoustics has garnered much praise. 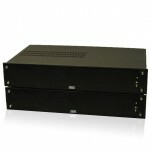 By 1985, after only a few years of trading, HiFi News' Ken Kessler summed up the Croft power amplifiers as 'frighteningly good, an incredible achievement from so small a firm." 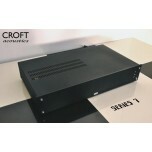 A year later, the Croft Series 4 amps were being compared "with models at two or three times the price." 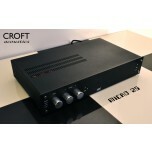 In 2002, HiFi+ proclaimed that "over twenty something years Croft has been one of Hi-Fi's better kept secrets, supplying sparklingly superior sound quality at surprisingly realistic prices. 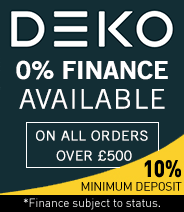 Its quirky individuality should ensure it remains a small specialist/enthusiast brand, but in truth I wouldn't really want it any other way." In recent years, Croft have expanded their range from pre and power amplifiers to include integrated amplifiers and phono stages – all which are indisputably Croft products, carrying the same passion for quality audio that has been the hallmark of Croft for the past 25 years. 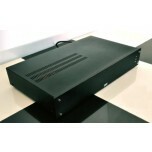 At Croft everything is about enjoyment of music and value. This is why Glenn Croft has earned a reputation as one of the most innovative and technically gifted designers of fine valve electronics.